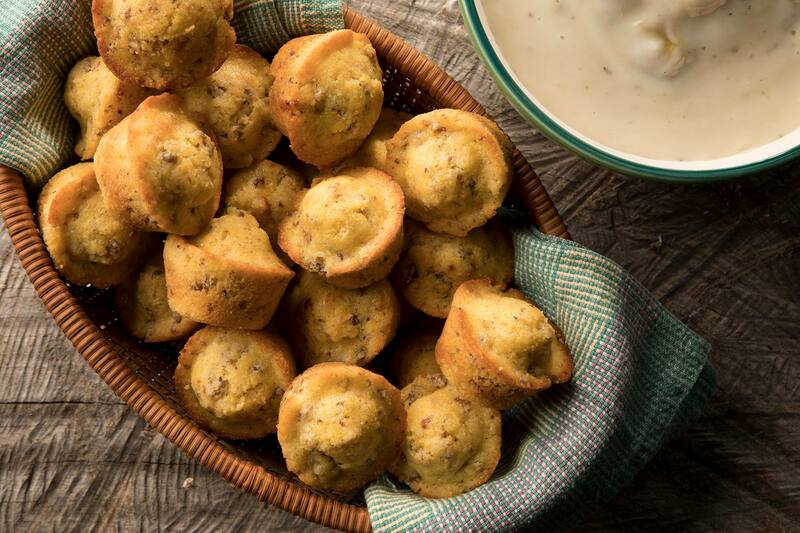 These flavor-packed sausage cornbread muffins are even better dunked in green chile gravy. Yum! 3. In a medium size mixing bowl, mix the eggs, milk, corn muffin mix, ancho chili powderuntil you have a smooth batter consistency. Add sausage, stirring to combine, being careful not to over mix. 1. In a small saucepan, bring the water to a boil, then whisk in the gravy mix. Allow this to thicken, then add green chili sauce.